"Three candidates vie for slot on Texas' oil and gas regulatory agency" was first published by The Texas Tribune, a nonprofit, nonpartisan media organization that informs Texans — and engages with them — about public policy, politics, government and statewide issues. Texas has been a key oil-and-gas-producing state for more than a century. It’s currently in the midst of the biggest fossil fuel boom in its history, by many measurements. And yet the state agency that regulates oil and gas production — governed by three statewide elected officials — has long eluded many voters, in large part because of its outdated name: the Railroad Commission of Texas. Past efforts to give the 127-year-old agency a more relevant moniker have failed, even though it hasn’t had total oversight of railroads for decades. Agency critics say it’s a sign that anti-regulation state leaders want to deflect public scrutiny away from an agency known for lax enforcement. They say the agency is far too industry friendly, pointing to the campaign finance filings and personal financial statement that show commissioners receive a large share of their campaign contributions from the industry and have varying degrees of financial interest in its success. Commissioners, meanwhile, have countered that it’s important to maintain an amiable working relationship with the industry they regulate — and that they remain impartial in their oversight. Their duties include not only regulation of oil and gas production, but gas utilities, safety of the pipeline and liquefied petroleum gas industries, and mining of coal and uranium. Three candidates are vying for one of three slots on the commission on Nov. 6. Incumbent Republican Christi Craddick, 48, a non-practicing attorney, is seeking a second, six-year term. The Midland native faces challenges from Democrat Roman McAllen, 53, an architect and urban planner who works as the historic preservation officer for the city of Denton, and Libertarian Mike Wright, 71, a Vietnam veteran and graduate of the United States Military Academy and Harvard Business School who spent a decade working in the oil equipment manufacturing industry. Both of Craddick’s challengers are considered longshots. The daughter of state Rep. Tom Craddick, a Republican who served as Texas House speaker from 2003 to 2009, Craddick has strong name ID and a far bigger campaign war chest. But she recently has come under fire in media reports for potential conflict of interest; Craddick has extensive financial stakes in West Texas’ oil and gas industry and, rather than recusing herself, has cast votes on permits and enforcement actions that may impact how much money she receives as a mineral owner. The Texas Tribune sent each candidate a list of questions to answer in writing. A reporter also recently sat down with Craddick for an in-depth interview. Their answers — edited for length — are below. TT: What are you telling voters about why they should re-elect you? Craddick: During this dynamic time for Texas energy, as Texas leads new U.S. energy growth, it’s important that your railroad commissioners have the knowledge and experience to oversee the Texas energy industry. Having grown up in the heart of the Permian Basin in Midland, Texas with my family working in and around the oil and gas industry, I’m well-versed in how the industry functions, regulatory needs at the Railroad Commission, and the industry’s importance to our state. I’ve put that knowledge to work in my first term as your railroad commissioner. TT: What accomplishments are you most proud of during your time on the commission? TT: You grew up in Midland. You and your family have a financial interest in oil and gas. You've faced criticism for that. That makes some people think you can't be an impartial regulator. What do you tell those critics? Craddick: You know I think that that's an interesting way to look at what my family does because, frankly, we, I report everything I'm supposed to report to the Ethics Commission. And so I'm pretty transparent, I don't have anything in a blind trust. I want people to know what I do. And I think that's important and I think it's important for people to understand the oil and gas industry and so I ran on that, I think people appreciate that I understand it and have a relationship with some companies. And frankly because if we've got a challenge with a company you want to be able to pick up the phone and talk to that person. And you want them to come in and tell you when you're not doing so well too. I think it's good relationship building — to have it both ways. TT: What are your goals for your next term, if you are re-elected? Craddick: My goal is to appropriately regulate our state’s energy industry, so our resources remain safe while jobs are created and Texas energy is produced. TT: What do you hope to accomplish during the upcoming legislative session? Craddick: This legislative session, our top priority is to maintain the agency’s current funding so we can fully carry out our mission, keep an adequate level of staff, make improvements to IT programs, and plug more abandoned wells. TT: What are your plans for addressing the many challenges facing the commission, including regulating a historic oil boom and losing staffers to better-paying oilfield jobs at a time when the agency also lacks adequate funding? Craddick: These are challenges that the Railroad Commission has managed for almost a century. In the last six years, we’ve seen $100 oil to $20 oil and back to $70 oil. We’ve adjusted rules and process as needed and kept an appropriate level of well-trained staff. An important part of our success has been securing more adequate funding for the agency, and we’ll continue to advocate for maintaining those resources. TT: One of your opponents said the Railroad Commission doesn't do an adequate job of protecting the environment. What's your response to this? Craddick: Inspections and enforcement are keys to keeping our environment safe. During my time at the agency, we’ve increased the effectiveness of our inspection and enforcement system, as well as brought more of this information online for public access. We’ve strengthened our oil and gas enforcement actions by adopting penalty guidelines based on risks posed and a violation’s severity and have assigned higher penalties for repeat violators. Under my Oilfield Relief Initiative, we implemented a revised internal inspection priority system to allow our inspectors to prioritize drilling rig inspections and hydraulic fracture treatments in sensitive areas without affecting other inspections. Right now, we’re working to strengthen our inspection and enforcement capabilities, adding more inspectors in the field and updating important inspection equipment like trucks and computers. Our ability to extract and analyze inspection, compliance, and enforcement data continues to improve as data management systems are enhanced. TT: There have been efforts for decades now to change the name of the Railroad Commission. Do you think it should be changed? Craddick: I think the name change is not important at this agency. For one, the people who work here generally like the name and there’s a lot of pride to it and if you get out of Texas everybody knows who the Railroad Commission is, particularly on a worldwide stage. The other challenges we’ve had: If you’re going to change our name, we think it needs a constitutional amendment, it needs legislative action and the Legislature hasn’t decided to do that. And part of our other challenge has been it would cost us roughly $450,000-plus to change our name by the time you redo signage, redo IT. There are a lot of costs to changing a name and frankly in a downturn, we haven’t had a lot of dollars; our priority has been paying our people well and doing our job rather than a name change. If you google oil and gas, you find the Railroad Commission pretty easily. TT: Why do you want to serve on the Railroad Commission? McAllen: To protect our water supplies and to get closer to Austin in order to influence the writing and enforcement of laws that are more equitable for all. Obviously I am not, today, as knowledgeable as those who work in the industries regulated by the Railroad Commission. I think the role of a statewide elected official over the regulation of mainly the extraction industries should be to lead. There appear to be plenty of experienced and knowledgeable staff to answer technical questions and provide answers to how certain activities can be done and what the impact will be. I have a diverse background and the ability to absorb information quickly. The Railroad Commission needs someone who will not be just an advocate for the industry but a leader who will regulate it based on where the world is today. TT: Is the agency doing a good job, in your opinion? McAllen: No. The required arms-length relationship needed to be a just arbiter is not there. I think Commissioner Ryan Sitton has shown good leadership by speaking out about my opponent's record of acting without transparency. The fact is that almost no one I have spoken to on the campaign trail this past year knows what the Railroad Commission does. This tells me they are doing a terrible job as statewide elected officials. My opponent seems just preach to the choir and is very cozy with industry officials. She only hears one side. TT: Do you have any specific policies you would advocate for, if elected? McAllen: Yes, campaign contribution rules for the Railroad Commission. I would request an agenda item or multiple items to discuss in a public forum or forums items for the commission calling for reports on campaign finance rules around the country that are meant to curb undue influence. I personally would hit the road with staff in the field to see what they are facing — what are they seeing daily. Again based on what is learned there I would be able to lobby internally (within the Railroad Commission) and externally for change if necessary to be sure that we are protecting citizens. I have been told by Railroad Commission employees there are big issues with resource management. TT: What would you bring to the table? McAllen: I would bring to the table a let's-get-this-done attitude. I would be focused on conservation of the environment. I get that we need the industry but we know the end day will come for oil and gas, either because other sources of energy become more economically and practically viable or because the extractions will get too costly. We know this. I would take a hard look at the severance tax, set by the Legislature. I think it should be raised. It has not been raised since 1951 and a lot has changed since then. There are more industry trucks on the road, there is an awareness of climate change, there are more people causing stress on public schools. TT: Is there anything else about you that voters should know about? McAllen: They should know that my office will serve the greatest good for all Texans. TT: Why do you want to serve on the Railroad Commission? What makes you qualified to do so? Wright: I believe in public service and the combination of my education and business experience I have the ability to analyze the various issues facing the Railroad Commission and come up with solutions. Wright: The people I talk with all state that the Railroad Commission needs to be more involved in developing solutions to some of the issues facing the industries the commission has oversight. I'm particularly concerned about the disposal of fracking and production water. Wright: My number one priority would be to work with the oil and gas industries along with agricultural interest the communities to develop a water recycling program to meet many of the needs of these stakeholder. By using the most economical of various methods to remove salt from water, the brackish water after can be used for human consumption. There is enough water that could be recycled it meet all of the water needed for fracking, roughly an additional one million people and much of the agricultural in West Texas. I've calculated there is roughly 32 billion gallons of water that could be recycled and the oil and gas industry estimates they will spend over $4 billion annually to dispose of the water. TT: What is your assessment of the incumbent's job performance during her time serving on the commission? Wright: In reviewing the minutes of the Railroad Commission it doesn't appear, the commission provides a lot of leadership and guidance to the Railroad Commission. The commission seems to operate on its own and in the best interest of the regulated industries and not the citizens of Texas. Wright: I just ask the voters to become informed about all of the candidates for every office they vote and choose the best candidate. All parties have some good candidates and by choosing the best for each office rather than voting a straight party ticket the citizens of Texas will be better served. Did Railroad Commissioner Christi Craddick break the law by pushing out the agency director? The attorney general can't say. Three candidates vie for slot on Texas' oil and gas regulatory agency By Kiah Collier October 26, 2018 Texas has been a key oil-and-gas-producing state for more than a century. It’s currently in the midst of the biggest fossil fuel boom in its history, by many measurements. And yet the state agency that regulates oil and gas production — governed by three statewide elected officials — has long eluded many voters, in large part because of its outdated name: the Railroad Commission of Texas. Past efforts to give the 127-year-old agency a more relevant moniker have failed, even though it hasn’t had total oversight of railroads for decades. Agency critics say it’s a sign that anti-regulation state leaders want to deflect public scrutiny away from an agency known for lax enforcement. They say the agency is far too industry friendly, pointing to the campaign finance filings and personal financial statement that show commissioners receive a large share of their campaign contributions from the industry and have varying degrees of financial interest in its success. Commissioners, meanwhile, have countered that it’s important to maintain an amiable working relationship with the industry they regulate — and that they remain impartial in their oversight. Their duties include not only regulation of oil and gas production, but gas utilities, safety of the pipeline and liquefied petroleum gas industries, and mining of coal and uranium. Three candidates are vying for one of three slots on the commission on Nov. 6. 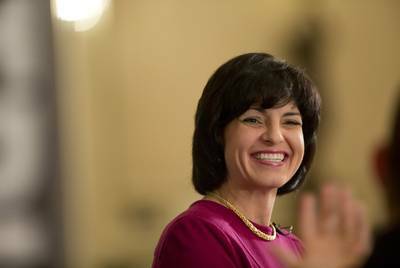 Incumbent Republican Christi Craddick, 48, a non-practicing attorney, is seeking a second, six-year term. The Midland native faces challenges from Democrat Roman McAllen, 53, an architect and urban planner who works as the historic preservation officer for the city of Denton, and Libertarian Mike Wright, 71, a Vietnam veteran and graduate of the United States Military Academy and Harvard Business School who spent a decade working in the oil equipment manufacturing industry. Both of Craddick’s challengers are considered longshots. The daughter of state Rep. Tom Craddick, a Republican who served as Texas House speaker from 2003 to 2009, Craddick has strong name ID and a far bigger campaign war chest. But she recently has come under fire in media reports for potential conflict of interest; Craddick has extensive financial stakes in West Texas’ oil and gas industry and, rather than recusing herself, has cast votes on permits and enforcement actions that may impact how much money she receives as a mineral owner. The Texas Tribune sent each candidate a list of questions to answer in writing. A reporter also recently sat down with Craddick for an in-depth interview. Their answers — edited for length — are below. Republican Christi Craddick TT: What are you telling voters about why they should re-elect you? Craddick: During this dynamic time for Texas energy, as Texas leads new U.S. energy growth, it’s important that your railroad commissioners have the knowledge and experience to oversee the Texas energy industry. Having grown up in the heart of the Permian Basin in Midland, Texas with my family working in and around the oil and gas industry, I’m well-versed in how the industry functions, regulatory needs at the Railroad Commission, and the industry’s importance to our state. I’ve put that knowledge to work in my first term as your railroad commissioner. TT: What accomplishments are you most proud of during your time on the commission? Craddick: We’ve transformed the agency into a more efficient, effective organization, doing our job at less cost to taxpayers, and allowing industry to safely produce Texas energy, creating jobs and generating large revenues that afford important services for Texans. Throughout the last six years, I’ve: Successfully advocated for funding for the agency, which has been used to increase our total number of inspectors and the number of abandoned oil and gas wells the agency plugs, to overhaul IT infrastructure and bring more of our data online, making it more accessible to the public Improved major agency rules, including a rewrite of the country’s most stringent cementing and casing rules to ensure the protection of freshwater in the energy production process and updates to underground injection and disposal rules to manage and reduce potential seismic events related to energy development Facilitated regulatory cooperation and collaboration between Texas and Mexico governments during the recent overhaul of Mexico’s energy sector TT: You grew up in Midland. You and your family have a financial interest in oil and gas. You've faced criticism for that. That makes some people think you can't be an impartial regulator. What do you tell those critics? Craddick: You know I think that that's an interesting way to look at what my family does because, frankly, we, I report everything I'm supposed to report to the Ethics Commission. And so I'm pretty transparent, I don't have anything in a blind trust. I want people to know what I do. And I think that's important and I think it's important for people to understand the oil and gas industry and so I ran on that, I think people appreciate that I understand it and have a relationship with some companies. And frankly because if we've got a challenge with a company you want to be able to pick up the phone and talk to that person. And you want them to come in and tell you when you're not doing so well too. I think it's good relationship building — to have it both ways. TT: What are your goals for your next term, if you are re-elected? Craddick: My goal is to appropriately regulate our state’s energy industry, so our resources remain safe while jobs are created and Texas energy is produced. Railroad Commission Chairman Christi Craddick, a Republican first elected to the commission in 2012, is running for a second, six-year term. Marjorie Kamys Cotera TT: What do you hope to accomplish during the upcoming legislative session? Craddick: This legislative session, our top priority is to maintain the agency’s current funding so we can fully carry out our mission, keep an adequate level of staff, make improvements to IT programs, and plug more abandoned wells. TT: What are your plans for addressing the many challenges facing the commission, including regulating a historic oil boom and losing staffers to better-paying oilfield jobs at a time when the agency also lacks adequate funding? Craddick: These are challenges that the Railroad Commission has managed for almost a century. In the last six years, we’ve seen $100 oil to $20 oil and back to $70 oil. We’ve adjusted rules and process as needed and kept an appropriate level of well-trained staff. An important part of our success has been securing more adequate funding for the agency, and we’ll continue to advocate for maintaining those resources. TT: One of your opponents said the Railroad Commission doesn't do an adequate job of protecting the environment. What's your response to this? Craddick: Inspections and enforcement are keys to keeping our environment safe. During my time at the agency, we’ve increased the effectiveness of our inspection and enforcement system, as well as brought more of this information online for public access. We’ve strengthened our oil and gas enforcement actions by adopting penalty guidelines based on risks posed and a violation’s severity and have assigned higher penalties for repeat violators. Under my Oilfield Relief Initiative, we implemented a revised internal inspection priority system to allow our inspectors to prioritize drilling rig inspections and hydraulic fracture treatments in sensitive areas without affecting other inspections. Right now, we’re working to strengthen our inspection and enforcement capabilities, adding more inspectors in the field and updating important inspection equipment like trucks and computers. Our ability to extract and analyze inspection, compliance, and enforcement data continues to improve as data management systems are enhanced. TT: There have been efforts for decades now to change the name of the Railroad Commission. Do you think it should be changed? Craddick: I think the name change is not important at this agency. For one, the people who work here generally like the name and there’s a lot of pride to it and if you get out of Texas everybody knows who the Railroad Commission is, particularly on a worldwide stage. The other challenges we’ve had: If you’re going to change our name, we think it needs a constitutional amendment, it needs legislative action and the Legislature hasn’t decided to do that. And part of our other challenge has been it would cost us roughly $450,000-plus to change our name by the time you redo signage, redo IT. There are a lot of costs to changing a name and frankly in a downturn, we haven’t had a lot of dollars; our priority has been paying our people well and doing our job rather than a name change. If you google oil and gas, you find the Railroad Commission pretty easily. Democrat Roman McAllen: TT: Why do you want to serve on the Railroad Commission? McAllen: To protect our water supplies and to get closer to Austin in order to influence the writing and enforcement of laws that are more equitable for all. Obviously I am not, today, as knowledgeable as those who work in the industries regulated by the Railroad Commission. I think the role of a statewide elected official over the regulation of mainly the extraction industries should be to lead. There appear to be plenty of experienced and knowledgeable staff to answer technical questions and provide answers to how certain activities can be done and what the impact will be. I have a diverse background and the ability to absorb information quickly. The Railroad Commission needs someone who will not be just an advocate for the industry but a leader who will regulate it based on where the world is today. TT: Is the agency doing a good job, in your opinion? McAllen: No. The required arms-length relationship needed to be a just arbiter is not there. I think Commissioner Ryan Sitton has shown good leadership by speaking out about my opponent's record of acting without transparency. The fact is that almost no one I have spoken to on the campaign trail this past year knows what the Railroad Commission does. This tells me they are doing a terrible job as statewide elected officials. My opponent seems just preach to the choir and is very cozy with industry officials. She only hears one side. TT: Do you have any specific policies you would advocate for, if elected? McAllen: Yes, campaign contribution rules for the Railroad Commission. I would request an agenda item or multiple items to discuss in a public forum or forums items for the commission calling for reports on campaign finance rules around the country that are meant to curb undue influence. I personally would hit the road with staff in the field to see what they are facing — what are they seeing daily. Again based on what is learned there I would be able to lobby internally (within the Railroad Commission) and externally for change if necessary to be sure that we are protecting citizens. I have been told by Railroad Commission employees there are big issues with resource management. 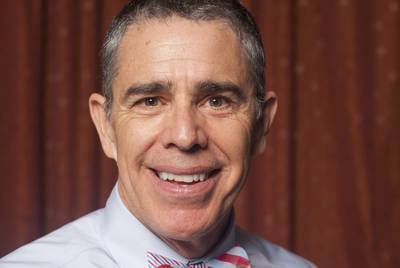 Democrat Roman McAllen, one of three candidates in the Texas Railroad Commission race, is the city of Denton's historic preservation officer Courtesy Roman McAllen TT: What would you bring to the table? McAllen: I would bring to the table a let's-get-this-done attitude. I would be focused on conservation of the environment. I get that we need the industry but we know the end day will come for oil and gas, either because other sources of energy become more economically and practically viable or because the extractions will get too costly. We know this. I would take a hard look at the severance tax, set by the Legislature. I think it should be raised. It has not been raised since 1951 and a lot has changed since then. There are more industry trucks on the road, there is an awareness of climate change, there are more people causing stress on public schools. TT: Is there anything else about you that voters should know about? McAllen: They should know that my office will serve the greatest good for all Texans. 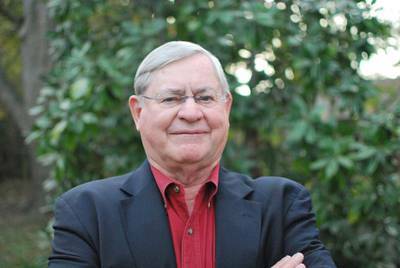 Libertarian Mike Wright TT: Why do you want to serve on the Railroad Commission? What makes you qualified to do so? Wright: I believe in public service and the combination of my education and business experience I have the ability to analyze the various issues facing the Railroad Commission and come up with solutions. TT: Is the agency doing a good job, in your opinion? Wright: The people I talk with all state that the Railroad Commission needs to be more involved in developing solutions to some of the issues facing the industries the commission has oversight. I'm particularly concerned about the disposal of fracking and production water. TT: Do you have any specific policies you would advocate for, if elected? Wright: My number one priority would be to work with the oil and gas industries along with agricultural interest the communities to develop a water recycling program to meet many of the needs of these stakeholder. By using the most economical of various methods to remove salt from water, the brackish water after can be used for human consumption. There is enough water that could be recycled it meet all of the water needed for fracking, roughly an additional one million people and much of the agricultural in West Texas. I've calculated there is roughly 32 billion gallons of water that could be recycled and the oil and gas industry estimates they will spend over $4 billion annually to dispose of the water. Libertarian Mike Wright is a Vietnam veteran and graduate of the United States Military Academy and Harvard Business School Campaign website TT: What is your assessment of the incumbent's job performance during her time serving on the commission? Wright: In reviewing the minutes of the Railroad Commission it doesn't appear, the commission provides a lot of leadership and guidance to the Railroad Commission. The commission seems to operate on its own and in the best interest of the regulated industries and not the citizens of Texas. TT: Is there anything else about you that voters should know about? Wright: I just ask the voters to become informed about all of the candidates for every office they vote and choose the best candidate. All parties have some good candidates and by choosing the best for each office rather than voting a straight party ticket the citizens of Texas will be better served. Read related Tribune coverage Did Railroad Commissioner Christi Craddick break the law by pushing out the agency director? The attorney general can't say. Texas regulator says "misunderstanding" is making millennials shun oilfield jobs Craddick seeking another term on Railroad Commission "Three candidates vie for slot on Texas' oil and gas regulatory agency" was first published at by The Texas Tribune, a nonprofit, nonpartisan media organization that informs Texans — and engages with them — about public policy, politics, government and statewide issues. Link back to the original article, which is located at https://www.texastribune.org/2018/10/26/three-candidates-vie-slot-texas-oil-and-gas-regulatory-agency/.